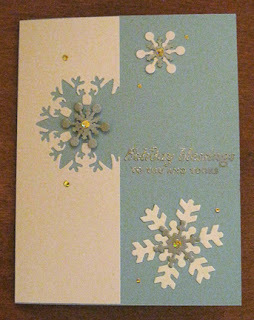 I saw this design in an online class and used both die cuts and punches for he snowflakes, some in white and some in silver cardstock. The text is silver embossed and I added some sparkly flat sticker dots. Will there be enough snow to build a snowman? or for a white Christmas?